CPUC has filed a landmark proposal for letting PG&E customers opt out of having smart meters. Here’s a breakdown. What to do about the small but vocal group of utility customers who believe their new wireless smart meters are a threat? Last week, the California Public Utility Commission issued a proposed ruling that could be an important trend-setter on this thorny issue, giving utility Pacific Gas & Electric the right to turn off the radios in the smart meters and charge the customers for it -- though not as much as PG&E wanted to charge them. I’m going to break down the ins and outs of CPUC’s proposed ruling, which is set for a vote by the full commission on Jan. 12, 2012. But first, here’s a bit of background on the backlash against smart meters. PG&E has been at the forefront of these problems -- maybe you’ve seen the videos of smart meter protesters blocking PG&E meter installation trucks. Still, we’re starting to see similar opposition from customers of utilities in Maine, Illinois and elsewhere, which makes it a national issue. While some customers are worried about smart meters messing up their bills or divulging personal data, the most strident protesters claim that exposure to electromagnetic radiation from the meters' wireless communications systems is causing them a myriad of health and mental problems. That's a claim that the Federal Communications Commission, the authority on the issue in the United States, does not support. Even so, based on the growing opposition from individuals and some local governments, CPUC ordered PG&E in March to come up with a way to let some customers “opt out” of having a wireless meter transmitting outside their home. In March, PG&E came up with a plan: simply turn off the Silver Spring Networks mesh radios inside the meters, and charge customers for the trouble. CPUC estimates that PG&E will need to pass on about $113.4 million in costs to its customers to pay for its radio-off opt-out program over the next two years. Since the utility will be asking customers to foot at least part of the bill, choosing the cheapest possible option is a high priority. CPUC’s ruling states that of all the options available, turning the radios off is the cheapest -- mainly because it doesn’t require ripping out existing smart meters and replacing them. The “radio-off” option is expected to cost PG&E about $402 per customer, while pulling the radios out of meters would cost $411 per customer, and putting back an old-fashioned analog meter would cost $416 per customer. Installing meters with hard-wire connections, while theoretically a good way to retain communications to opt-out customers, is by far the most expensive option, at $613 per customer. It also wouldn't work for smart gas meters, which make up about half of PG&E’s total deployment, since they aren’t attached to any wires that could carry signals. While CPUC supports PG&E’s radio-off concept, it isn’t willing to allow the utility to charge its customers as much to do it. CPUC’s proposed ruling would allow the utility to charge an upfront fee of $90 and a monthly charge of $15 for most customers. That’s much less than what PG&E asked for in its March proposal, which included plans to charge $270 upfront and $14 per month, or $135 upfront and $20 per month. As for so-called “CARE” customers -- low-income or elderly customers on special low rate plans -- CPUC’s proposal would waive upfront fees and charge them $5 per month. PG&E had asked for permission to charge CARE customers $105 or more in upfront fees, as well as monthly charges. CPUC’s proposed ruling would immediately resolve one ongoing problem for PG&E: it gets rid of the “delay list” that had temporarily put the utility’s smart meter rollout on hold. According to the ruling, once it’s put into effect, “that delay list shall no longer be in effect and all customers currently on the delay list shall be transitioned to a wireless SmartMeter unless they elect to participate in the opt-out option.” That would clear the way for PG&E to finish installing the roughly 1.2 million meters remaining of its 10 million smart meter deployment, which includes both gas and electric meters. Big Question: How Many Will Opt Out? One big question PG&E faces is, how many customers will choose to opt out of having an operating wireless smart meter at their home? PG&E’s cost figures assume that 148,500 customers will elect to opt out. It’s hard to say whether PG&E will hit that target or not. 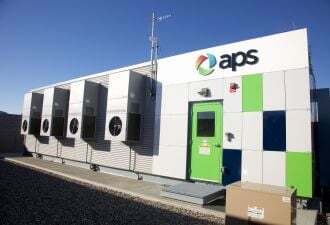 But the experience of the only other U.S. utility actively doing a smart meter opt-out program might give them reason to hope for a lower number. That’s Central Maine Power, which started offering an opt-out program for customers after the state’s public utilities commission required it in a May ruling. That program only costs $20 to $40 upfront and $10 to $12.50 in monthly fees, but that’s been enough extra costs to dissuade about 10 percent of the customers who initially asked for the opt-out option, CMP told us this month. CPUC’s ruling did remove one big threat to the viability of PG&E’s mesh network in its ruling, however. That was the proposal that entire cities, counties or other local governments could choose to opt out of smart meter deployments en masse, as the Marin County town of Fairfax and two other groups had suggested. But CPUC’s ruling denied that as an option, saying that “as a matter of customer choice, it should be the customer of record who chooses whether to opt out of a wireless Smart Meter and pay for that option.” That makes sense, given that opt-out customers are going to be stuck with extra costs. Even so, PG&E is still losing a lot of functionality at each of the residences of the customers that choose to turn their smart meter radios off, according to CPUC’s ruling. Those include: hourly interval data of electric energy usage or daily gas usage; any tariff or demand response program which requires interval data, or web page presentation of that data to customers; remote service connect/disconnect capability; real-time meter diagnostic alarms and health assessment checks; real-time monitoring for security events on the metering device; remote firmware upgrades; outage information and power status; time-of-use (TOU) data collection and access to any tariff that requires a device to collect TOU data; and home area network (HAN) connectivity inside the home and access to any tariff or program that requires HAN. Losing all that functionality is going to be a problem for PG&E, but it will have some time to figure out how to work around it. According to CPUC’s ruling, “The non-communicating digital electric meter offered for the opt-out option must be capable, by no later than January 1, 2014, of collecting interval energy consumption data to allow PG&E to collect this data manually for billing purposes.” If anything, that will give some ability to instigate time-of-use billing for opt-out customers -- even if they won’t be able to use any HAN devices or back-end software to help them with it. On the matter of whether or not the radiation put out by PG&E’s smart meters is a health risk, CPUC’s ruling makes clear that it doesn’t get to decide that matter. Instead, it’s the Federal Communications Commission that tells it and every other utility regulator in the country what the rules are -- and according to a Nov. 1, 2011 letter the FCC sent the CPUC, the rules don’t ban smart meters on health grounds. To wit: “In the case of SmartMeters, the FCC has no data or report to suggest that exposure is occurring at levels of RF energy that exceed our RF exposure guidelines,” the letter reads. On the other hand, a study from the California Council on Science and Technology found that smart meters meet current FCC standards for safety and generate less electromagnetic emissions than other household devices such as cell phones and microwave ovens. 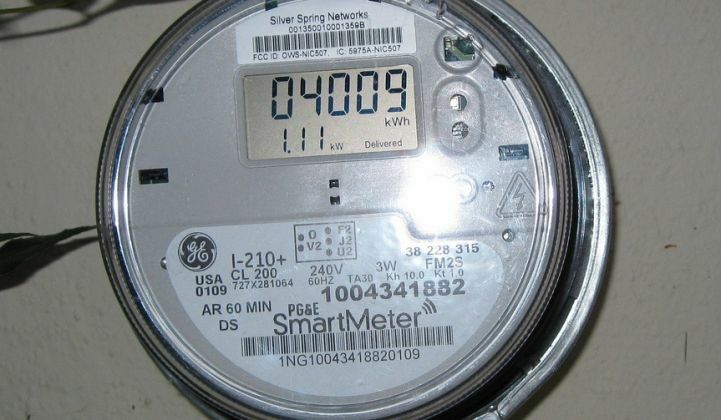 Given those facts, “With no indication that the SmartMeters in question might not comply with FCC exposure limits, we have no reason or authority to order them removed or their operation discontinued,” the FCC’s letter states. That explanation hasn’t satisfied smart meter opposition groups, of course -- but CPUC has made it pretty clear that it cannot assert any authority over that issue. Perhaps the groups protesting smart meters on health grounds need to take their complaints to the FCC.